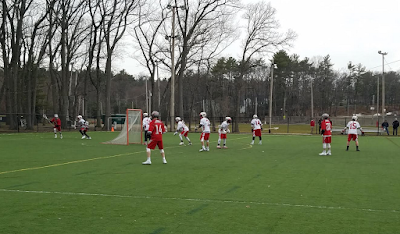 It was messy, as most early-season lacrosse games are, and in the end the Reading Rockets found their flow as the game progressed and cruised past Middlesex League rival Wakefield, 7-4. After giving up the first goal of the game, the Rockets rattled off six straight and never let off the gas. No one was better offensively than Jack Stanton. The senior notched four goals, two helped by sophomore Colin Comeford, to lead the Rockets. Reading’s offense took a hit early when senior star Jack Geiger left the game after taking a crosscheck to the head that opened a sizable gash on his hairline. In stepped Stanton and Reading’s new motion attack that forced Wakefield out of position, especially in the middle two quarters where the Rockets outscored the Warriors 6-1. Senior Matt Farwell had a goal and an assist during the run although he left the game with an ankle injury in the fourth quarter. With all the youth, and inexperienced players, stepping up, Reading coach Charlie Hardy said he was proud of his team’s performance. On the back end, sophomore goalie Charlie Guillioti shined bright with a 12-save performance. Despite the loss, Wakefield outshot Reading 27-23. 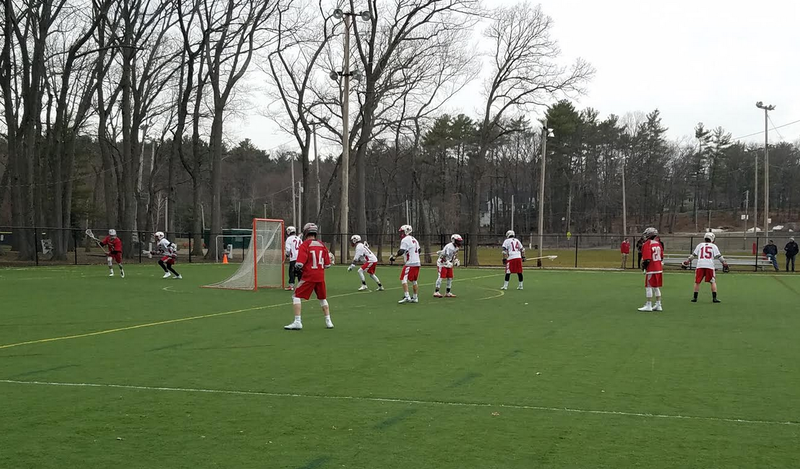 Wakefield was paced by a hat trick from senior Alex July, but the Warriors couldn’t string consistent possessions together. Reading won ground balls 21-14 and had three less turnovers than Wakefield. All that resulted in the Rockets’ third consecutive win. During that run Reading has outscored its opponents 31-11. Despite their youth, six Rockets found the score sheet and, as the game got physical in the final minutes, kept their heads and didn’t take any bad penalties.